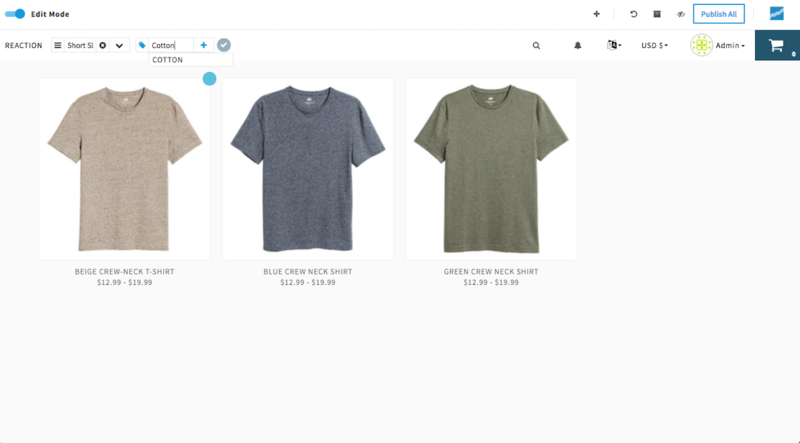 Tags provide an easy way to classify and search for product items by group. This is what we refer to as a hashtag taxonomy. Reaction features two types of tags: product tags and navigation tags. Product tags help customers find what they’re looking for, while navigation tags organize these keywords by category. By default, products are displayed in a grid layout. When logged in as an admin, you may drag and drop products to reorder them. You may also arrange products based on how you manage your tags. 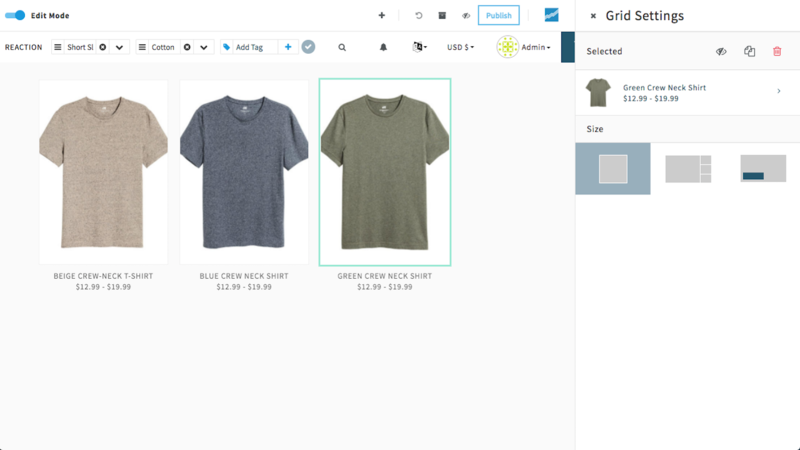 Manage the display order of your products based on the order of your tags in your navigation. When new products are added, they are given the top position by default. To edit your shop's navigation tags, click on the “Add Tag” button in the top nav bar. To create a new navigation tag, type your keyword into the “Add Tag” box and hit enter. Previously created tags may be auto-suggested for you. Be sure your product tag corresponds with a navigation tag. Otherwise, your product page will be empty. To delete a navigation tag, click the gray X ( ). To rearrange navigation tags, click on the 3 horizontal lines icon ( ). Drag and drop the tags in whichever order you like. When you're finished, click anywhere outside of the top nav bar, and you're done!